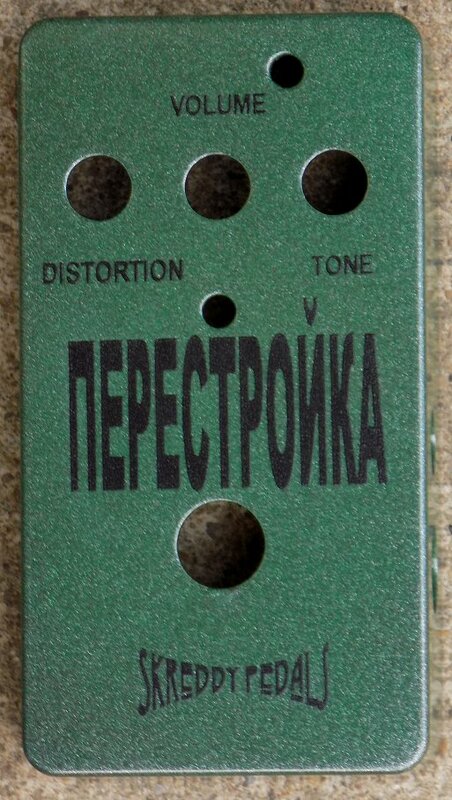 The Skreddy Pedals™ Perestroika hearkens to the early 1990's Russian tank version fuzz which had a gritty bite to the top end, a smooth, gently scooped midrange, and a warm, but not boomy low end. Okay, it can get boomy. Depending on where you set the tone control. Has just enough gain to propel your solos and never mushy on chords. 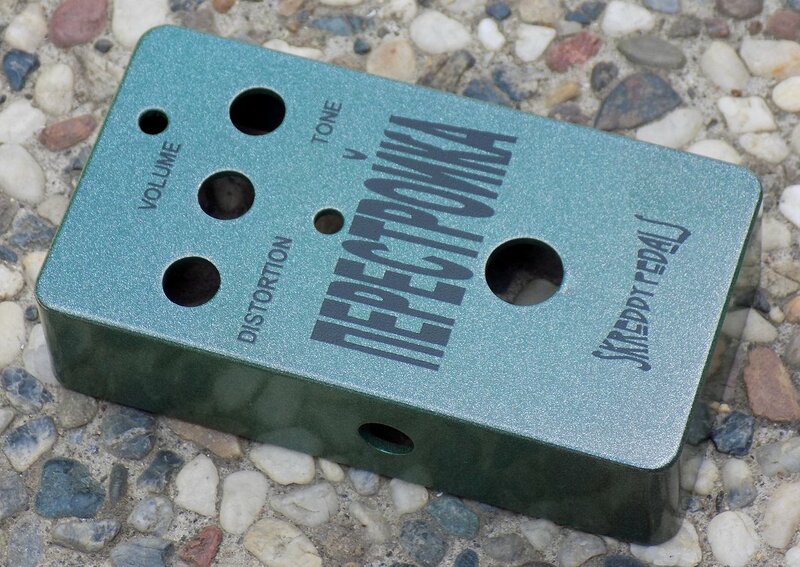 We're adding our customary midrange boost mini toggle, too, for flat mids, no scoop! There are a limited number of transistors we can make them with, but we don't foresee running out any time soon. I've done my best to not just duplicate the parts values but to make it actually sound like the old early 90's models did. Nope; I just couldn't handle the lack of sustain in the stock version. I had to add just a TINY bit more "zing" and creamy sustain so it would be useful for soloing. But I did not get rid of the characteristic bass clean blend that is a hallmark of the green/civil war Russians. I mixed up a custom color that I think is a GREAT compromise between gaudy, bright grass green and ugly, dull olive drab. I call it "dirty sparkle green!"